WORRIED YOUR BUSINESS ISN'T LEGALLY PROTECTED? Let's protect + grow your biz. 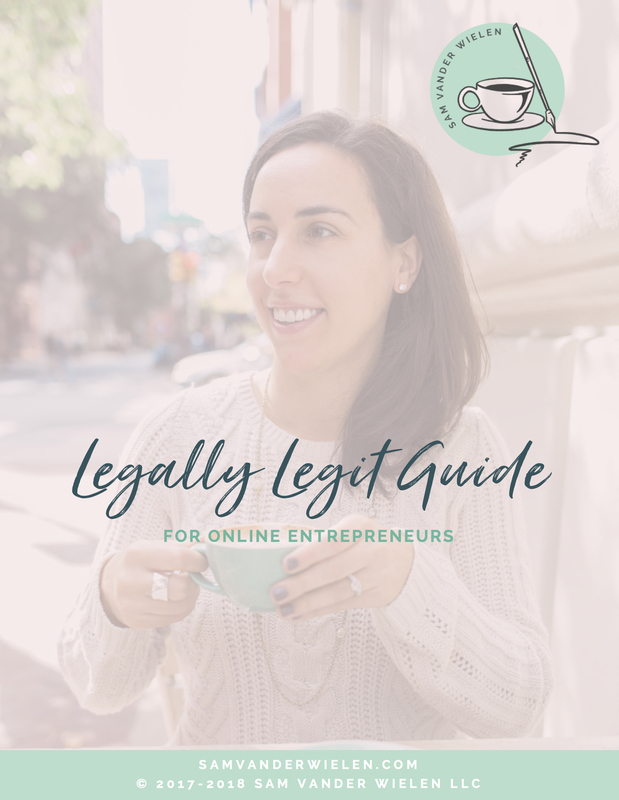 Download your *free* Legally Legit guide to learn how to get paid, register your biz (step-by-step), protect your content and grow a legally legit biz. Hi! I'm Sam, an attorney-turned-entrepreneur who helps coaches, creatives & consultants get paid, register their biz, & protect their content with my fill-in-the-blank Legal Templates and Fearlessly Legal Ultimate Bundle program. Enter your name and email below to receive your free Legally Legit Guide immediately by email.